Are you ready to start most exciting trip of your life? This is a fun, EZ-to-follow, on and off road, leisurely adventure exploring scenic and historic destinations. Learn how to navigate with GPS while riding in the back-country. Master these tips and confidently navigate anywhere on the planet! Join a community of like minded off road adventurers for a weekend event you'll remember for a lifetime! This AMA Sanctioned “Adventure Ride” event is held at the gateway to Yosemite National Park, Buck Meadows California and is a two day, GPS based, self-guided adventure which includes scenic & historic destinations both in and around Yosemite National Park and the Stanislaus National Forest. Using paved and unpaved roads with options of “dirt” & “paved” splits, you will have approximately 100 miles of fun each day! “Dirt” routes are approximately 80% dirt. “Paved” routes are 100% paved. All “dirt” routes are 2-track and appropriate for large “Adventure” bikes. Event operated under permit from the Stanislaus National Forest. This event caters to ALL street legal dual sport & adventure motorcycles. 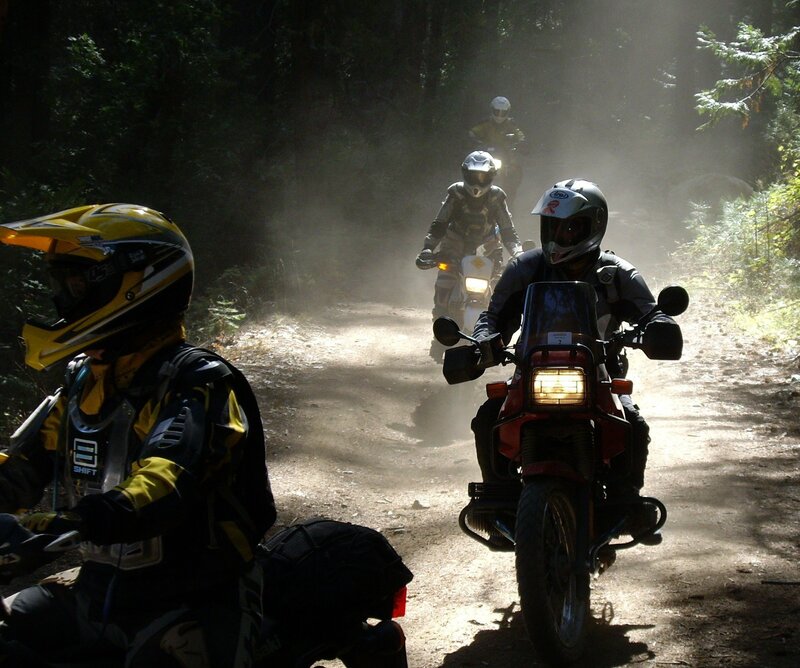 The Yosemite Dual Sport Adventure is an AMA Sanctioned dual sport event held at the gateway to Yosemite National Park in Buck Meadows and is open to any make or model of street legal motorcycle. This two day, GPS based, self-guided adventure includes scenic & historic destinations both in and around Yosemite National Park and the Stanislaus National Forest. Using paved and unpaved roads with options of "hard" & "easy" splits, you’ll have approximately 100 miles of fun each day! "Easy" routes are perfect for beginning riders or large adventure bikes. Experienced riders can be challenged by choosing "hard" splits. We do our best to include as many dirt routes as possible. The Mojave Family Adventure brings everything we love together at the same time; Family, The Great Outdoors & the machines we love to ride! 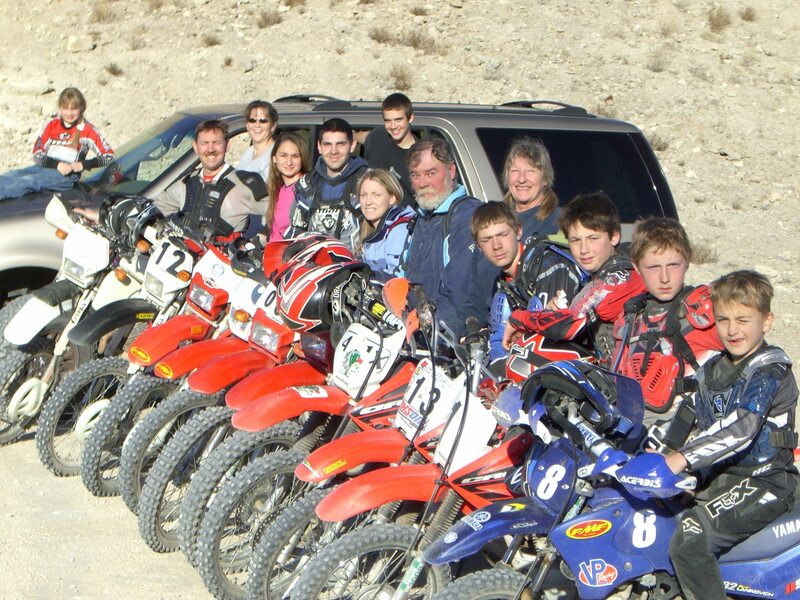 Held on BLM land near Ridgecrest, California this AMA sanctioned event is built for you and your family. ANY vehicle licensed to operate off road on BLM land is acceptable. Dirt bikes, quads, Razor’s, jeeps & dual sport are all acceptable! This event starts and ends at the Wagon Wheel Staging Area on Trona Road (Charlie’s Place) and visits historical and scenic locations in the Spangler Hills OHV riding area with a lunch stop in historic “living ghost town” of Randsburg. This is a self-guided, GPS based event. This event operated under permit from BLM.